The Anxiety and Depression Association of America (ADAA) is delighted to announce that we have been awarded a 2018 grant from the Venable Foundation. Immigrant and refugee families in the US face significant barriers in accessing mental health care services. Some of these barriers include: higher levels of stigma, misinformation about mental health, language differences and stressors associated with migration and resettlement. Funding from the Venable grant will allow ADAA to enhance our diversity focused mental health resources that specifically target the immigrant/refugee population. These resources include consumer webinars, blog posts, online support groups and more for immigrant and refugee families. Click here to learn more. ADAA is delighted to announce that we have been awarded a 2018 Nonprofit grant from KidGuard. 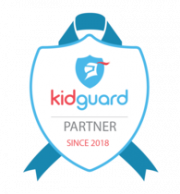 KidGuard is a technology services company that provides information & tools for parents to keep their kids safe online. KidGuard awards annual grants to registered 501(c) nonprofit organizations that have a mission to protect, support, or advocate for the benefit of family and children. Over the last several years, rates of childhood depression have continued to rise. Yet, information and awareness about childhood depression has not kept pace with this alarming trend. With increased exposure to social media, children are at greater risk of experiencing cyberbullying and negative situations that can increase their anxiety, put them at risk for depression and in more severe cases, suicide. Funding from the KidGuard grant, will allow ADAA to enhance our current educational content and mental health resources for children and teens. These resources include consumer webinars, child-friendly infographics, blog posts and educational videos covering topics such as childhood depression and anxiety, how to identify symptoms and where to find effective and suitable treatment options. Click here to learn more. 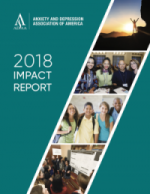 ADAA is excited to share our 2018 Impact Report highlighting the accomplishments and growth we have made within the past year in our public and professional communities. Click here to view. ADAA Board President, Beth Salcedo, MD, and Child Mind Institute President, Harold S. Koplewicz, MD, co-authored this essay as a companion to “Understanding Anxiety,” the Child Mind Institute’s 2018 Children’s Mental Health Report. Read more. As clinicians, scientists, and professors who are experts in the fields of anxiety, depression, and trauma, the recent media coverage of trauma and sexual assault have moved us to comment, not on the particulars discussed, but on the potential impact on the patients to whom we have committed our careers to help. Read more. ADAA is excited to announce a new partnership with Tonic, VICE Media's health and wellness site. As a site that strives to bring frank, editorial and video to young people who want to be healthier — and want to learn about the forces that prevent us from doing so — Tonic has identified mental health as a key area of concern and interest for their readers. Tonic launched - Coping- a free e-newsletter that will focus on anxiety and depression, and through story links, embedded videos, and user-generated content, will take a look at what tools and strategies can help people find relief and support. ADAA member Michelle Lozano, MFT will be working with Tonic to review content prior to publication and to answer readers' mental health questions (email Tonic at coping@vice.com). Sign up to have Coping arrive in your inbox. Since November of 2017 when Facebook launched its new fundraising program, ADAA has been extremely fortunate to receive many generous donations through Facebook fundraisers. These fundraisers are created by Facebook members celebrating birthdays and choosing - in lieu of gifts - to have their friends and family make donations to a nonprofit of their choice. We wanted to extend a huge thank you to those who choose to fundraise on behalf of ADAA - your generosity makes a critical difference! Read more. 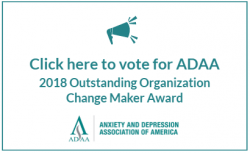 We are proud to announce that the Anxiety and Depression Association of America (ADAA) has been chosen from among hundreds of organizations as one of five finalists for the 2018 Outstanding Organization Award from the Child Mind Institute! The winner will be decided as a result of online voting which is open to the public as of today through March 23. We would really appreciate your support for us by voting for us today and spreading the word! Please note: one vote per email address per day may be entered. Read more. The Board and staff extends a special thank you to our ADAA members ad partners for their contributions and collaboration throughout this past year. Together we have accomplished much in advancing ADAA's public and professional mission and we look forward to a very productive and successful 2018. We invite you to view our 2017 Year in Review summary to see how we have grown our reach and impact. The San Francisco Annual Conference in April was a very successful highlight. With a record number of attendees (over 1,300) from across the United States and around the world attending more than 170 innovative sessions, listening to engaging keynotes and participating in special symposia, ADAA shone an important spotlight on behavioral medicine and its application to anxiety and depressive disorders. The 2018 Annual Conference will be held in DC this coming April and will focus on treatment-resistant anxiety and depression: challenges and opportunities. We look forward to another engaging 4 days of learning, sharing and connecting. Read ADAA's 2017 Board Year-End Reflections here. ADAA is delighted to be collaborating with NAMI-SF, WeWork and Meru Health on the 2-Minute Mind Check – a San Francisco Bay Area community initiative focused on breaking the stigma around depression. Joining together we can help employees in the San Francisco Bay Area (a region of our country where productivity is prioritized and asking for help is viewed as a failing) determine where they stand on the depression scale and encourage those that are struggling to speak openly about their challenges, seek help and access the many free resources that our organizations provide. Learn more about this collaboration. Through this new project, ADAA will form a Women’s Special Interest Group to design women-focused programming for mental health professionals. It will also develop programming for its 2018 annual conference that focuses on evidence-based gender research and treatment options for women. Finally, ADAA will create women-focused webinars and outreach to educate the public about mental health treatment options for women and to decrease the stigma of mental illness. 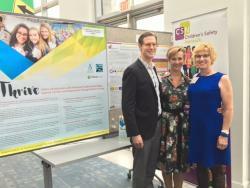 This project will educate at least 100 clinical researchers and clinicians on female-focused mental health research and treatment trends, while also disseminating educational information about mental health to more than a million women of all ages. Through this initiative, ADAA will reduce the stigma of mental illness, connect women to specialized treatment, and foster dialogue between women’s mental health researchers, clinicians, patients, and the public at large. Interested in learning more about how can become involved in this exciting new project? Please contact Lise Bram. 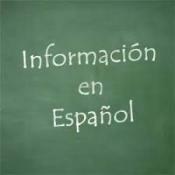 ADAA is delighted to announce that we have recently added Spanish language translations of some of our consumer brochures and infographics. 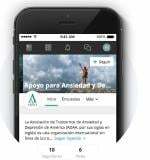 ADAA ha lanzado nuevos recursos para personas que hablan el español y profesionales que trabajan con la comunidad latina. I invite you to visit our Recursos en Españoll website page to learn more. If you are an ADAA member and would be interested in hosting a Spanish language webinar, or writing a blog post, please let us know. We are continuing to translate website content, brochures and more and will also be offering a number of Spanish language free consumer webinars in late 2017. On behalf of the ADAA board and staff, I would like to thank Dr. Peter Roy-Byrne, ADAA’s Depression and Anxiety Journal’s departing editor-in-chief. Peter has been the Journal’s editor since 2008. Under Peter’s leadership and guidance the Journal has thrived and now ranks 19 of 140 in psychiatry journals with an impact factor of 5.004. ADAA is deeply grateful to Peter for his commitment, vision and stewardship. A special thank you also to Myrna Weissman, deputy editor, for her many years of dedication to the Journal. ADAA would also like to recognize ADAA member Murray B. Stein, MD, MPH who will take over as the Journal’s editor-in-chief as of July 1, 2017. We wish him all the best in his new role. Michael Gleason is the Chairman and Chief Executive Officer of Consumer Brands, LLC, an innovative technology and online media company based in Southern California. The company’s subsidiary, Healthcare Brands, LLC, is the publisher of a network of healthcare websites including Anxiety.org. 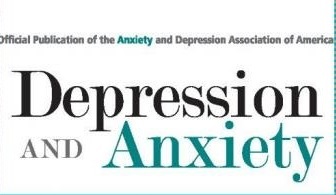 ADAA is delighted announce a new partnership with Anxiety UK. Anxiety UK is a national registered charity formed in 1970 by someone living with agoraphobia for those affected by anxiety disorders. They are a user lead organization run by people with the experience of living with anxiety or anxiety-based depression, supported by a high-profile medical advisory panel. Anxiety UK works to relieve and support those living with anxiety and anxiety-based depression by providing information, support and understanding via an extensive range of services, including 1:1 therapy. 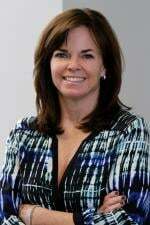 Under the leadership of President Karen Cassiday, ADAA has created an evidence-based protocol for Pedestal Foods to train their staff and create experiences in the dining areas that promote student mental wellness. This initiative — Project Thrive — rooted in positive psychology, will help create moments of joy for students and offer resources for those in need of support. Project Thrive is being piloted at a high school in Nashville, Tennessee. Read more. There are countless organizations that serve as a professional home for mental health researchers and practitioners. So what makes ADAA unique? 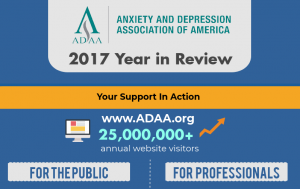 In addition to our focus on anxiety disorders and depression, ADAA also provides free resources and education to tens of thousands of people worldwide who struggle with these disorders. ADAA members vary widely in experience level, from students to MDs and PhDs. For those still honing their skills, whether undergraduate students, graduate students, clinical trainees, or postdoctoral fellows/residents, ADAA provides ample opportunity to network with colleagues and even find a mentor. For the more experienced clinicians and researchers, ADAA offers a variety of resources to help keep abreast of the latest and most cutting edge research in the mental health field. Read more.